Bear Heritage Green Jigged Bone Mini Trapper | BUDK.com - Knives & Swords At The Lowest Prices! The Green Stag Bone Heritage Line was produced a few years ago and has been popular ever since. 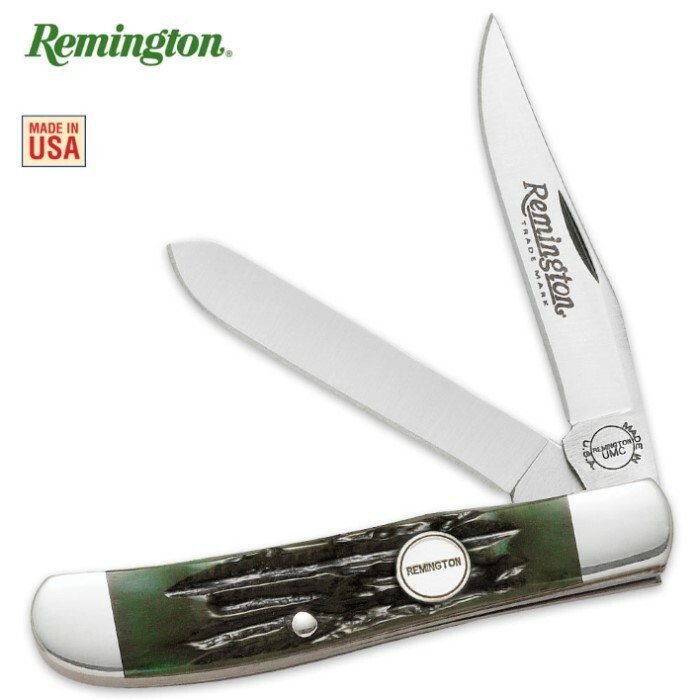 This smaller sized trapper knife features the green stag bone handle that folks really love and a 2 3/4” 440A stainless steel blade. A Remington shield adorns the handle. It is 6 1/4” in overall length and 3 1/2” closed. This trapper is made in the USA.